These sparkling, faceted gemstones are characterized by their needle-like inclusions which resemble black fibers on the inside. No two are alike. 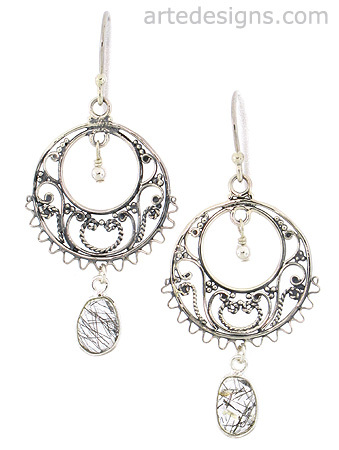 The rich stones are bezel set in sterling silver and hang lightly under whimisical chandelier earrings. Sterling silver fishhook ear wires. Total length is just over 2 inches long.